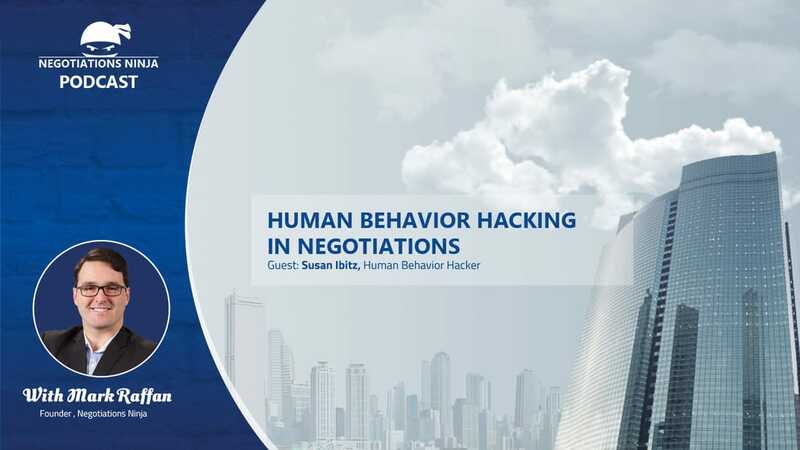 Susan Ibitz, the human behavior hacker, IS on the show. Some people hack computer systems, she hacks human behavior. Susan runs a company called the Human Behavior Lab where she and her team specialize in face reading, statement analysis, body language, and micro-expressions. In this episode we jump into these 4 areas with both feet and discuss how understanding each of these four areas can make you a better negotiator and a better communicator. The thing that I loved about this episode is that Susan dispels a lot of myths about body language, specifically on how to tell if someone is lying to you. I find Susan’s research fascinating and this is likely an episode you’re going to want to take notes on. ​Download as an MP3 by right-clicking here and choosing “save as”.